CVC Capital Partners has formed a consortium with Brookfield Asset Management and Singapore’s sovereign wealth fund GIC to make a final bid for South Korea’s No. 2 security services provider, ADT Caps, in a deal expected to fetch over 3 trillion won ($2.8 billion). The CVC-led group was one of shortlisted bidders for ADT Caps, wholly owned by the Carlyle Group, in a preliminary auction conducted in December 2017, according to sources with knowledge of the matter on Feb. 5. The other shortlisted bidder is a Macquarie-led consortium which appeared to have attracted an unidentified South Korean business group. A final auction is due for mid-February in what is expected to be one of the largest M&A transactions in South Korea this year. Initially, Toronto-based Brookfield had participated in the auction as an independent bidder through its private equity division, but recently agreed to team up with CVC and GIC. To support its bid, the consortium of CVC, Brookfield and GIC has attracted South Korea’s financial investors, including KEB Hana Bank, Hana Financial Investment Co. Ltd. and Samsung Securities Co. Ltd. It formed an advisory group composed of UBS, law firm Kim & Chang and Ernst &Young, while preparing post-acquisition integration with Looxent Inc., a business consulting firm. Brookfield acquired IFC Seoul complex from AIG Group for 2.55 trillion won in 2016, in its first office building purchase in South Korea. Its private equity division, with $28 billion in AUM, closed the $4.6 billion acquisition of Westinghouse Electric Co., a former nuclear unit of Toshiba Corp., earlier this year. Meanwhile, the Macquarie-led group is being advised by JPMorgan, Kim & Chang and Samjong KPMG, the South Korean unit of KPMG, for the bidding. 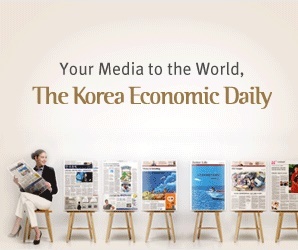 To finance the possible acquisition, it is in negotiations with KB Securities Co. Ltd., Shinhan Bank, Shinhan Investment Corp. and Korea Investment & Securities Co. Ltd.
South Korea’s security services market is expected to grow at a steady place, in line with a rapid rise in one-person households. ADT Caps takes a 30% share of the market, trailing sector leader S-1 Corporation of the Samsung Group which controls 60%. Carlyle is likely to net about $1 billion in profits from the sale handled by Morgan Stanley. The Washington-based private equity firm is now in the bidding for CJ HealthCare Corporation, a South Korean drugmaker and an online shopping mall in the country.